Diagram showing the flight profile of ERTS-1. 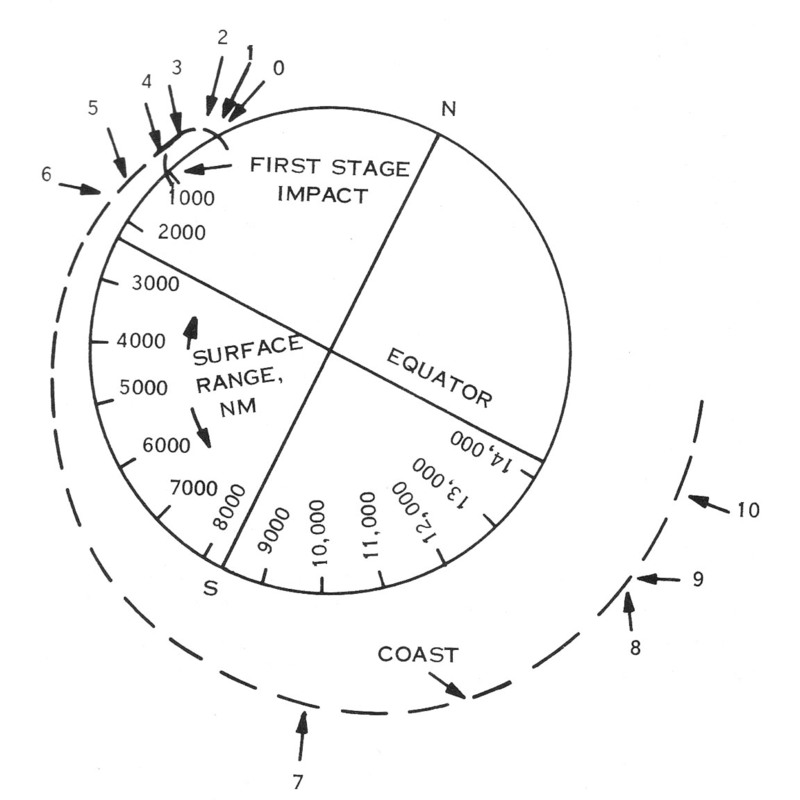 This schematic appears in the ERTS Reference Manual that was prepared by General Electric prior to the Landsat 1 (ERTS-1) launch in 1972. 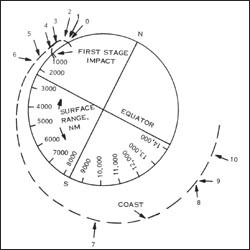 The schematic shows the Landsat 1 flight profile, from liftoff (0) to spacecraft separation (10).